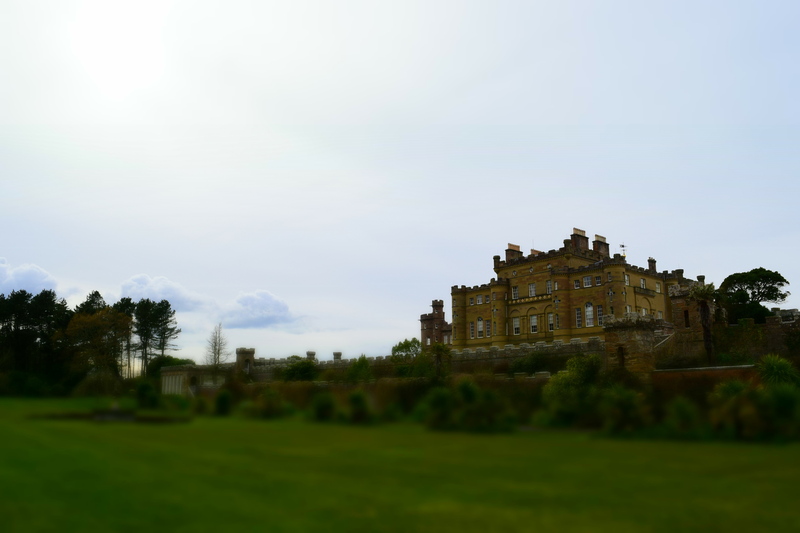 We took a trip out to Culzean Castle & Country Park a few weekends ago. 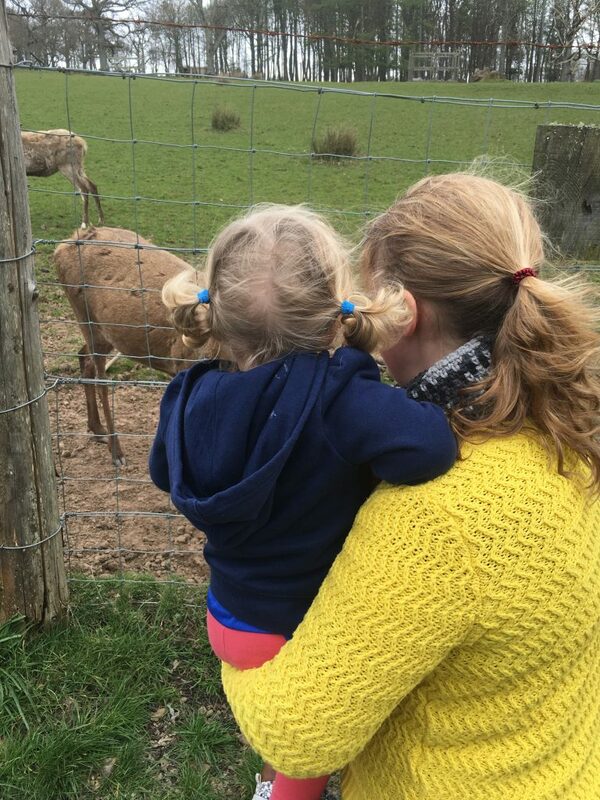 We’ve had our National Trust membership for a while, but haven’t really used it for much except a Mrs Santa visit at Pollok House, so we figured it was time to put it to use. 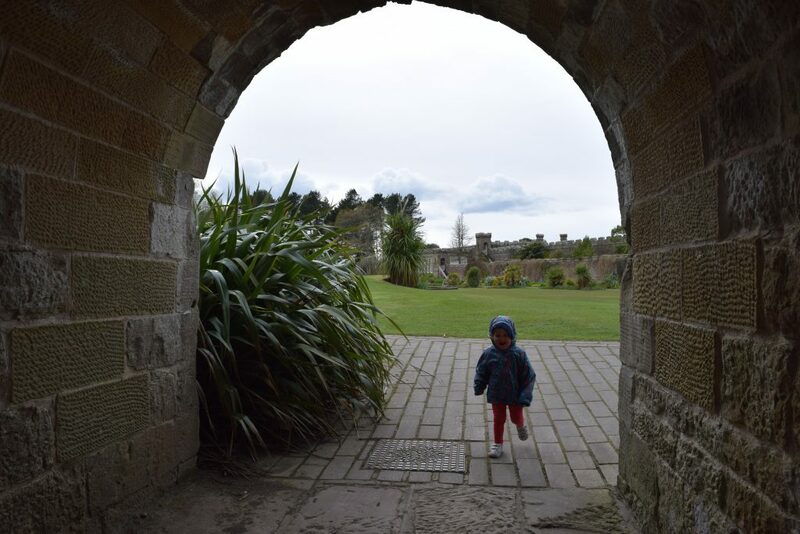 I’d heard from a few friends with older kids that Culzean Castle is a great place for kids, and that they have the best playpark there too. We weren’t disappointed. We were only there for the afternoon and it was a nice day, so we spent most of our time in the playpark, around the swan pond and other outdoor areas. We took a walk around the castle grounds though and they were really pretty. Lots of space to run around! We’ll properly visit the castle next time! This is definitely one of the best playparks we have ever been to. 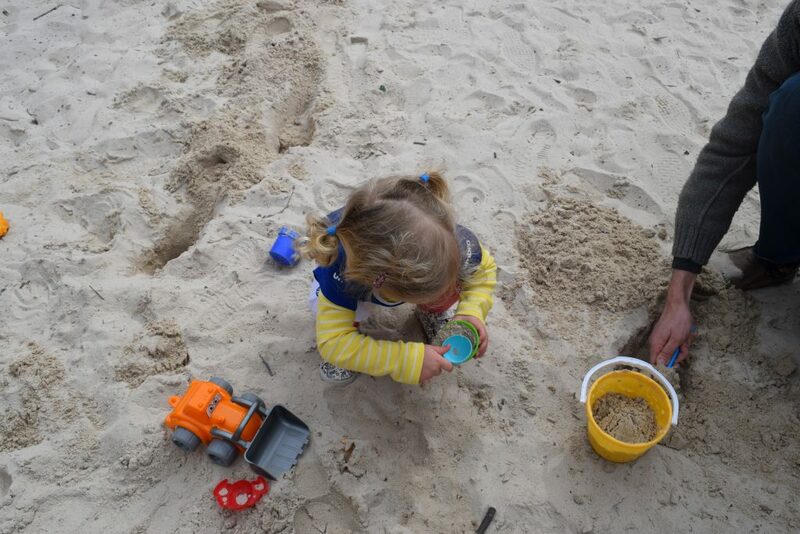 It’s basically a giant fort, filled with sand pits and loads of bits to play on. There are a bunch of slides, and you have to climb up inside the walls of the fort to get to many of them. It’s really fun! They have toddler friendly flying foxes, the first we’ve ever come across. These were a huge hit with the little lady. And they have a couple of nice big sand pits. Big enough to be worthwhile taking your buckets and spades. We were probably in the playwark for an hour, and we could’ve spent a lot longer in it. Really excellent. There’s the castle itself and the formal gardens surrounding the castle. 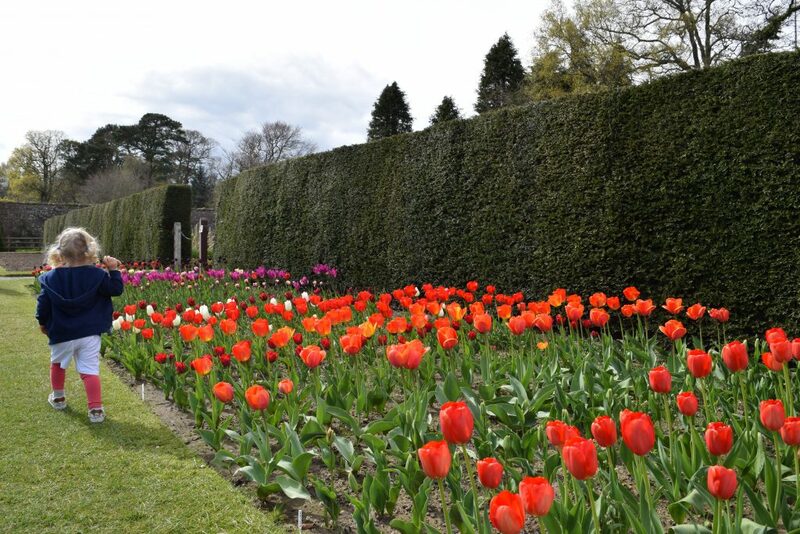 The walled garden with it’s colourful flowers and glasshouses is really beautiful. The playpark is brilliant and the swan pond nearby it is really pretty. There is a cafe and shop in this area too. There’s also a restaurant in the park, tons of walks to do and lots of coastline to explore. It’s actually a fantastic place to explore a rocky coastline, however the bump means that I’m not particularly well balanced (physically) at present and I was a bit apprehensive about slipping and/or falling, so we gave that a miss this time. We shall return with our little net and wellies though. There are also tours of the castle plus family tours on weekends, and ranger led tours of the park too. It’s about an hour from Glasgow along the M77, about 20 or so minutes past Ayr. It’s very easy to find. There’s plenty of parking in a few different car parks located at various points in the country park. It is pram friendly. 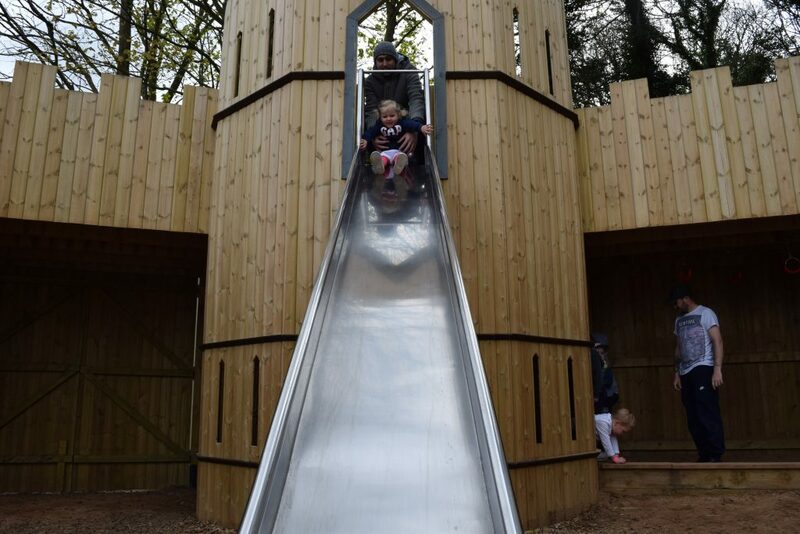 Especially between the castle and playpark areas. There are paved roads around the park so even if you need to hop over onto those for a minute it’s pretty easy with a pram. 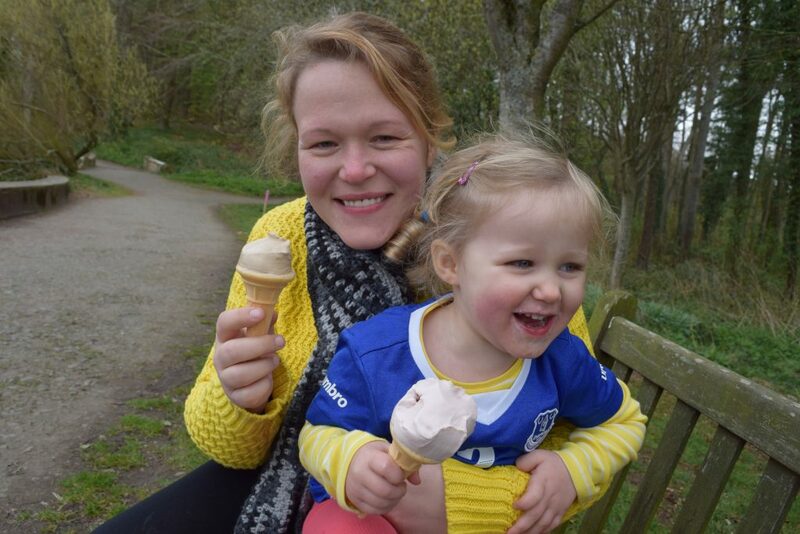 There are a few different places to buy food (and ice creams, obviously) but there’s so much space around that it’s a really great place to picnic! With a National Trust Scotland membership, entry to the park and castle is completely free. Without one it is a bit more expensive. 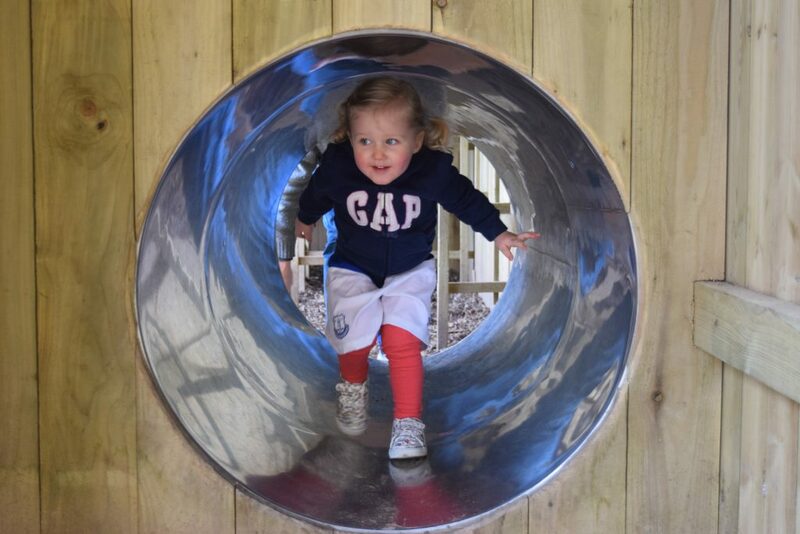 Family entry is £38; adult entry is £15.50 (£10 just for the country park); children are £11.50 (£7.50 just for the country park). You can find all the info on the National Trust Scotland website. If we didn’t have our NTS memberships we wouldn’t have gone for just an afternoon! 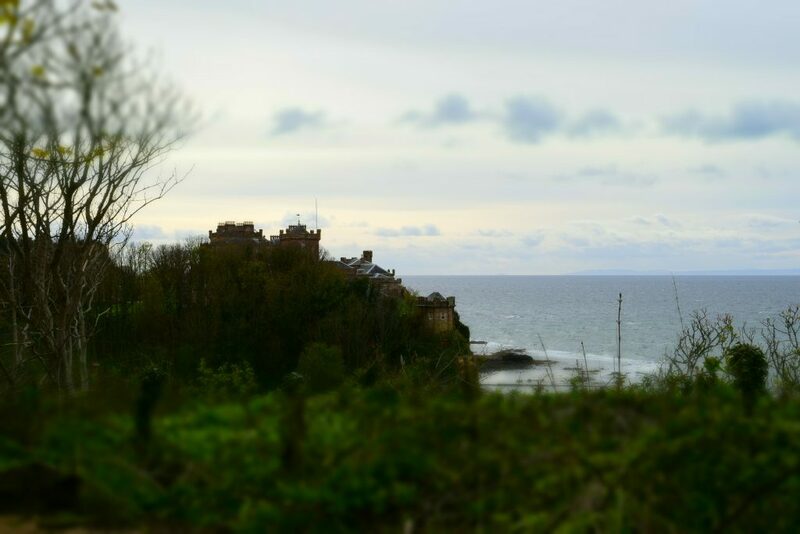 We had a great time at Culzean Country Park. As I mentioned above, their playpark is one of the best playparks we’ve ever been to. 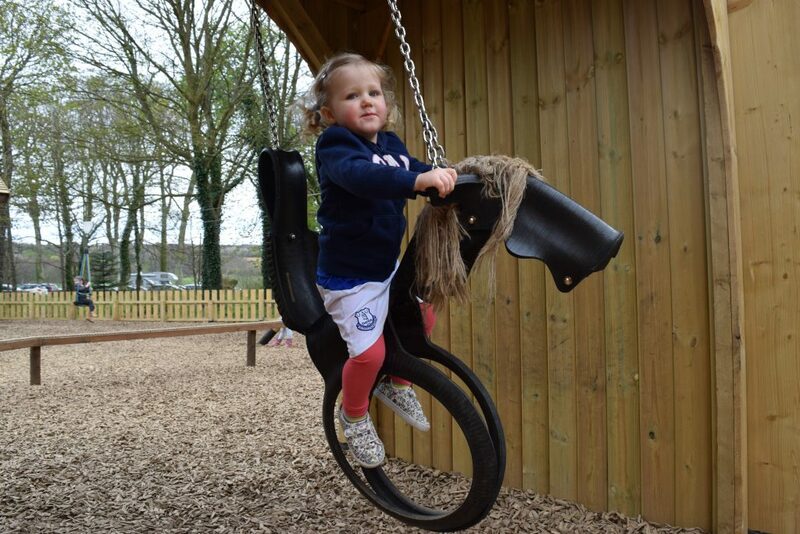 The little lady spent more time in there than we’ve ever spent in any other playpark! There’s so much to do in the park. 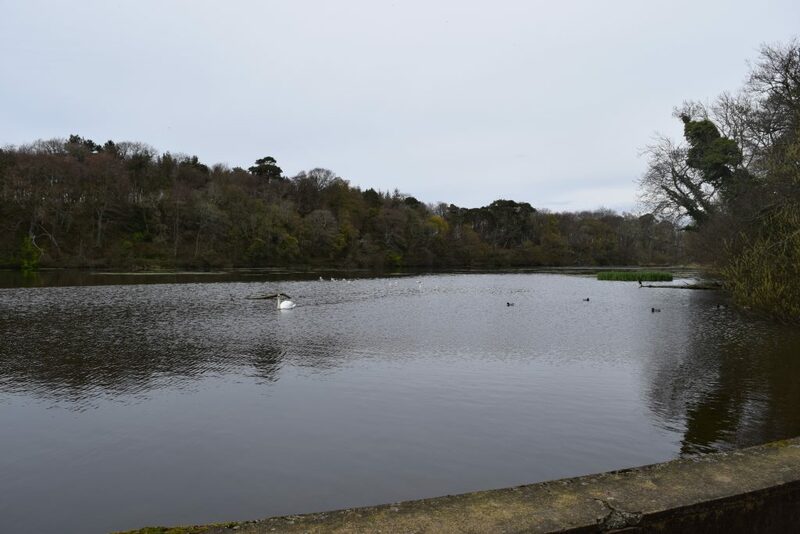 It’s really beautiful too; it has everything from pretty gardens to swans and forested areas to a big rocky shoreline. So much to entertain all ages, especially a toddler. We’ll be back. Excellent day out. 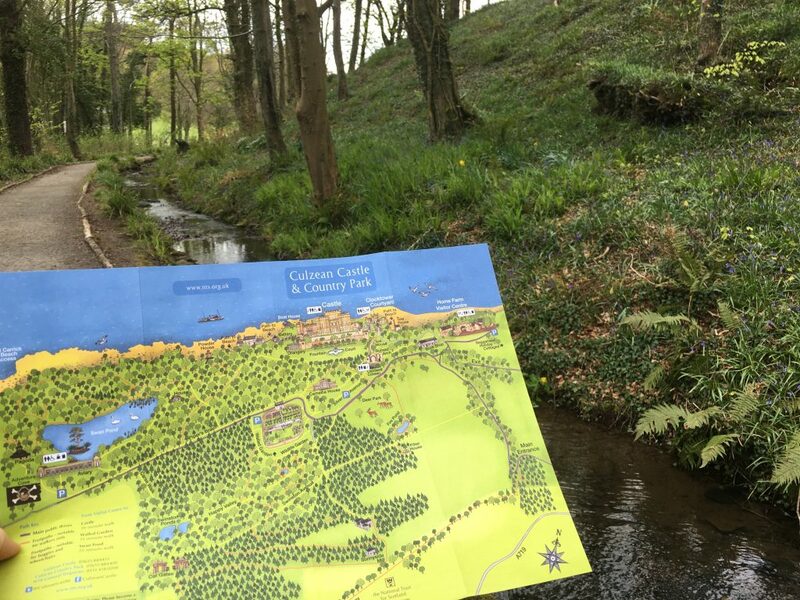 Culzean Castle & Country Park is located about an hour from Glasgow, around 20 minutes past Ayr.